It should come as no surprise that when redesigning the GMC Sierra for 2014, General Motors made it a tougher, stronger truck than before. Cue the gravel-voiced announcers and pictures of the Sierra climbing mountains and pulling oceanliners. What’s weird about it, though, is just how refined GMC managed to make it at the same time. This is a truck that’s now capable of towing up to 12,000 pounds — while still technically being classified as a “light duty” pickup, if you can believe it — yet it rides with the quiet serenity of a family car when you’re cruising down the highway. 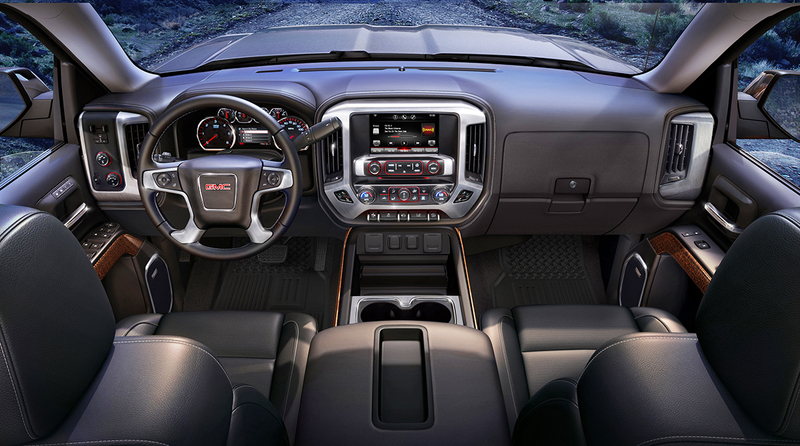 The GMC Sierra is all-new for 2014, making it more refined and powerful than ever before. To be clear, the fresh Sierra is designed first and foremost to do more work. I love the rugged simplicity of steps that are carved into the rear bumper and the cargo tie-down system that’s standard equipment. I also love the fact that you can get it with a 420-horsepower, 450-foot-pound V8 engine. But what strikes me the most about this new truck is how it can be so hard-edged and tough in some ways while being so soft and supple in others. It’s like wearing silk work gloves. Consider the rear tailgate, for example. For decades, anyone who has dropped the tailgate has heard a loud, clunky “thud” as it slams down under its own weight. But the Sierra’s mechanism has a soft, slow closing motion that sets the tailgate down gently if you drop it. I’ve only seen that kind of tailgate on one other truck — an extremely expensive Lexus luxury SUV — so it puts the new GM trucks in rarefied air. It’s a little thing, yes. But a long list of those little things makes the Sierra stand out. The Sierra’s redesigned cabin is considerably quieter than before thanks to a long list of aerodynamic improvements, more sound insulation and suspension changes. The doors are set lower in the frame, like a car, and triple-sealed to keep out wind noise. The side mirrors and tailgate are designed to reduce turbulence. And the suspension is designed to be more smooth and comfortable than ever, something noticeable even on my test truck that was equipped with the Z71 off-road package. It has all the obligatory tech upgrades of new cars, including GM’s latest IntelliLink system with a big digital touchscreen and iPhone-style icon layout. And the cabin sets a new standard for full-size trucks, with lots of soft materials and the kind of tight construction and classy finishes that used to be the exclusive domain of passenger cars. It’s hard to find much to complain about in a brilliantly re-engineered pickup, but I do think it could benefit from a more envelope-pushing body style. The squared-off shape just doesn’t look as progressive as the rest of the truck feels. What was tested? 2014 GMC Sierra 1500 4WD Crew Cab SLT ($43,125). Options: SLT preferred package ($400), driver alert package ($845), SLT Crew Cab value package ($2,195), power sunroof ($995), touchscreen audio with navigation ($795), heated and cooled seats ($650), off-road suspension package ($430), front leather seats ($325), trailer brake controller ($230), all-terrain tires ($200). Price as tested (including $995 destination charge): $51,185. 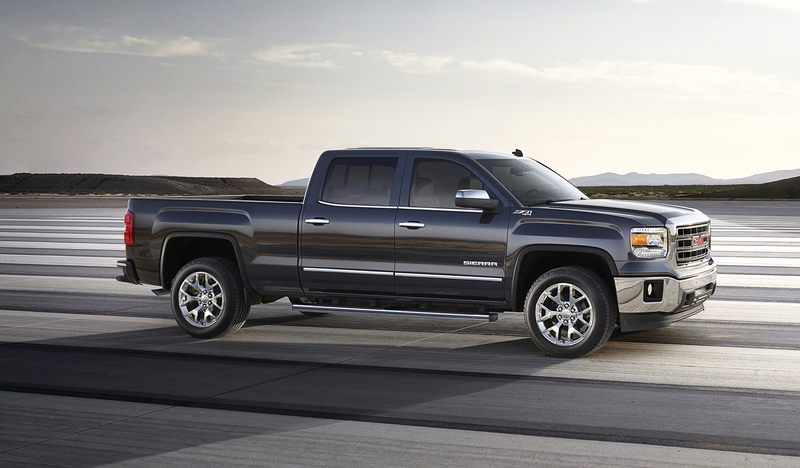 It’s a huge improvement over the old Sierra and, in many ways, sets a new benchmark for pickup truck refinement. The styling changes aren’t as dramatic as the rest of the truck’s redesign.